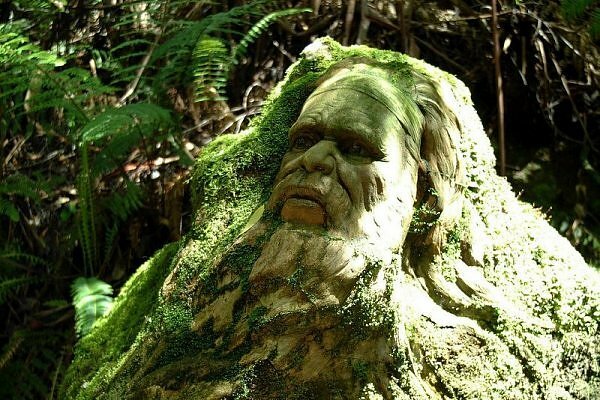 These mesmerizing sculptures are the work of William Ricketts, a rare Australian born in 1898 who was in awe of the connection the Aborigine people have with the land. 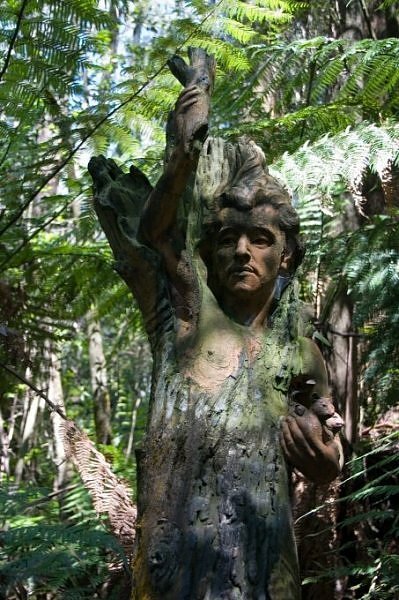 The clay figures, which Ricketts created on site in his home on Mount Dandenong, near Olinda, express his devout philosophy that all people need to act as custodians of the natural environment just as the Aboriginal people do. 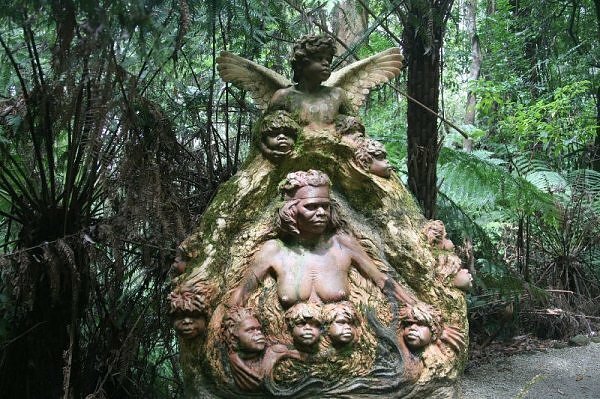 Ricketts gained his deep understanding of Aboriginal culture during frequent trips to Central Australia, where he lived with the Pitjantjatjara and Arrernte people from 1949 -1960. 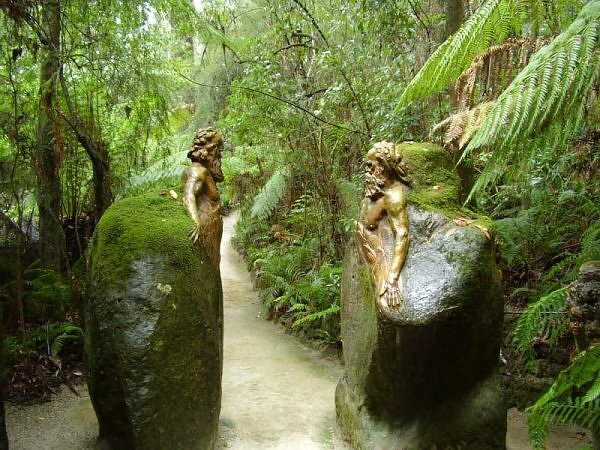 They soon adopted him as one of their own and willingly posed for the sculptures that would become their legacy. 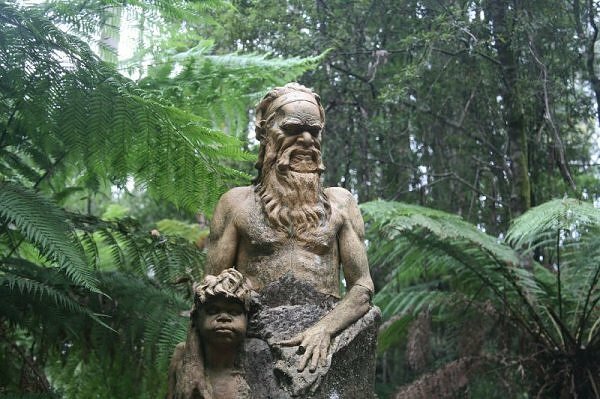 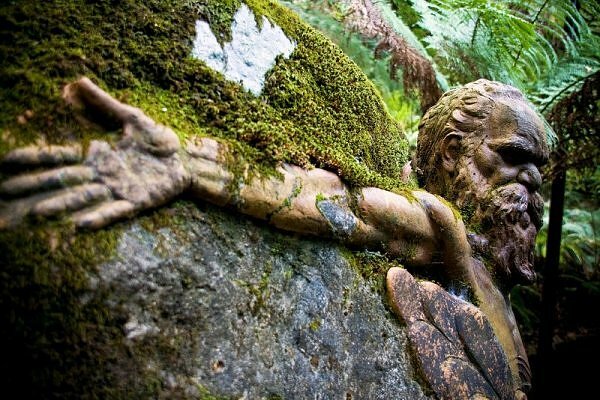 William Ricketts died in 1993 at the ripe old age of 94 but he will always be remembered as his figure, too, is dotted around the tranquil fern gully, forever connected to both the family and the land he so loved.